Forget Legoland and DisneyLand, those are places that everyone goes to. And you probably want to see places that are lesser known, unique, and under the radar. So to experience California like no other, we are going to be sharing with you secret places in California you’ll wish you knew sooner. This is a unique spot which was a legal dumping ground for glass until 1967. So you’ll find a beachfront full of multicolored glass. But don’t worry, it’s safe! All the glass pieces have smoothed over likes small stones and are safe to walk on! Located in Riverside County, Tíos Tacos is a restaurant that serves, you guessed it, tacos! But, aside from the tacos is a wacky display of bizarre and crazy art that will have you walking around for hours checking out the uniqueness that is Tíos Tacos. Instead of heading toward the lights and shine of Los Ángeles and Hollywood, this state park is ideal for those looking to get away from all of it. The Anza-Borrego Desert State Park is the first Dark Sky Community in California and is perfect for stargazing and fans of astronomy. If you’re an adventurous eater, Crazee Burger is a must-stop burger shop. They offer burgers made from antelope, alligator, kangaroo and more! Located in San Diego, this place will serve you some wild (literally) dishes. Instead of visiting the California Redwoods, stop instead at the Arcata Redwoods which are located in the small college town of Humboldt. It’s close to the Redwoods National Park, but far enough that it offers a unique and intimate experience with these majestic beauties which can be enjoyed without having to deal with the crowds. Formerly an up and coming seaside town that was supposed to be a luxury destination for the rich, is now home to a large sprawl of urban decay. The downfall of Salton came when the levels of salt in the sea rose to deadly levels and the fish began to die. This is an ideal spot for photographers and fans of unique pieces of urban grunge and decay. Less-traveled, but nonetheless beautiful, the Black Sands Beach is located 45 minutes south of Eureka, but still falls under the radar. This remote beach is home to secluded paths and trails on the Long Coast Trail where you’ll find camping spots that aren’t overcrowded or too well-known. A habitable collection of art just beyond Slab City, that even though it was started over 10 years ago, it is still progressing and developing. East Jesus is free to enter but donations are welcome. You can even stay a night or for a month and help build pieces of art. Some of the installations include structures made of used tires, a half-buried bus, and a duck pond. 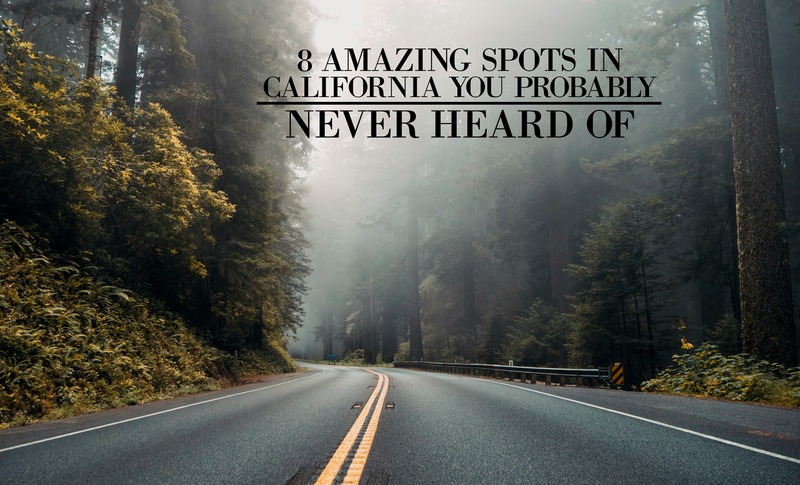 If you’ve always wanted to go to the golden state, and you’re planning a trip, then definitely check out these spots and let us know how it goes! 6 Types of Intermittent Fasting: Which One is Right for You?